I purchased my trusty zester in 1983, back when no one had heard of rasp-type zesters, which are now a lot more popular than their old-fangled counterparts. I got mine when I started working at Chez Panisse and the cook training me on my first shift told me that I needed four essential items; a chef’s knife, a paring knife, a bread knife, and a zester. I never realized how important a zester, and zest, could be. My zester is a few decades old and it’s still razor-sharp. And aside from its German quality, the reason it lasted so long is that I never let anyone else use it, which anyone who has ever worked in a restaurant kitchen can certainly relate to. So when I packed up and moved to Paris, I was sure to take my zester along with me. And in spite of all the fancy zesters – and drawer loads of other kitchen stuff I’ve picked up over the years, this spiffy little fella holds a special place in my heart, and in my citrus-flavored desserts. Since my recent trip to the Middle East, I’ve been craving the kind of rich, dense syrupy cakes, which are different from their lighter western counterparts. This dessert is deeply flavored with citrus; the batter is silly with citrus zest, and the glaze adds unbelievable moisture and maximizes the orangey goodness. 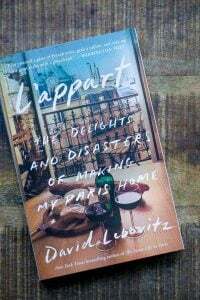 I adapted it from Jerusalem by Yotam Ottolenghi and Sami Tamimi, one of my favorite cookbooks that touches on the various foods that cross borders and cultures in the Middle East. I made a few changes, including using oranges rather than clementines (or tangerines.) But if you have tangerines, they would add even more depth of flavor. I also had a lot of sliced almonds on hand, so used those, grinding them up with the flour. The result is a pretty great cake and I would imagine during strawberry season, it would be terrific with a pile of lightly sweetened berries alongside. Adapted from Jerusalem by Yotam Ottolenghi and Sami TamimiI like to grind citrus zest in the food processor with the sugar for cake recipes that call for zest since the sugar absorbs a good deal of the aromatic citrus oils from the zest. Be sure to use fruit that hasn’t been sprayed. 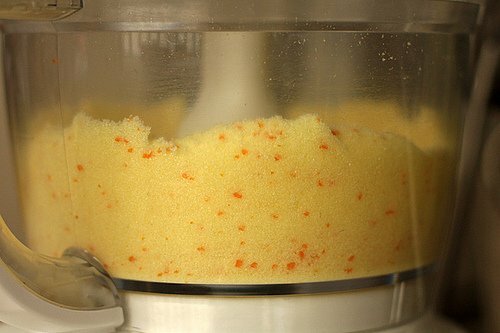 If you don’t have a food processor, simply chop (or grate) the zest finely and add it to the butter and sugar.In place of the sliced almonds (I used blanched, but if you choose to use unblanched, the cake will be darker and denser), the authors recommend that you use 10 ounces (280 g) ground almonds, which is often sold as almond meal or almond flour. 1. To make the cake, preheat the oven to 350º F (180ºC.) Butter a 9- to 10-inch (25 cm) springform pan and line the bottom with a round of parchment paper. 3. In the bowl of a stand mixer, or by hand, beat the butter with the zest-infused sugar until well-combined. 4. Grind the almonds, flour, and salt in the food processor until the almonds are completely pulverized. 5. Add half of the almond mixture to the butter, then add the eggs one by one, stopping the machine a few times (if using a stand mixer) to scrape the sides down. Then add the remaining almond mixture, stirring just until incorporated. 7. While the cake is baking, make the syrup by heating the 3/4 cup citrus juice and 6 tablespoons of sugar in a nonreactive saucepan until boiling and the sugar is dissolved, then set aside. When the cake comes out of the oven, brush the syrup liberally over the hot cake. Let cool completely in the pan. 8. To candy the oranges, cut the orange into 1/4-inch slices. Put the slices in a nonreactive saucepan, and add enough water to cover them well, and bring to a simmer. Blanche the slices for ten minutes, then drain well. 9. 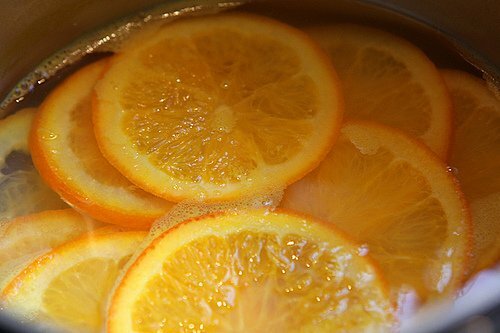 Put the oranges back in the saucepan and add the 2/3 cup sugar and 2/3 cup water and cook the oranges at a simmer for about ten minutes, or until they are tender and translucent. Serving: Serve slices of the cake with your favorite ice cream, if you wish, and a slice of candied orange along with some of their syrup. I love dense sweet sticky cakes like this. I like the combination of orange and lemon together. I have a few Ottolenghi books and they’re great. I am looking forward to buying a copy of Jerusalem. How HOOOOW do you read my mind????? Just yesterday! I was thinking how it would be perfect to have some orange syrup that I could moisten my orange madeleines! I can’t make this cake now, and trust me I want to :( but I might just make the syrup and oranges, because it is exactly what I felt my madeleines needed, even though they’re perfect as they are. For some reason, as good a chocolate as I use for the chocolate ones, the orange ones would always win. Bar none. The best flavour ever. And yes, a zester is precious. What is your take on the Microplane? Overrated? I have that zester as well. Stole it from my mother. I also have a Microplane which I love but somehow end up using the other zester more. I love the longer strands of zest it produces. And its used a lot as I put zest into everything!! such a lovely cake. I’m also obsessed with this zest issue but couldn’t find a satisfying zester anywhere. now I’m usina a Microplane premium but it planes instead of zest. So if it’s not a masters trich could you say which zester do you use and is it possible for the mortals such us to find it in a way? That’s indeed a great zester. I’ve had my fair share of accidentally grated knuckles. Such a bad combination with citrus juice! 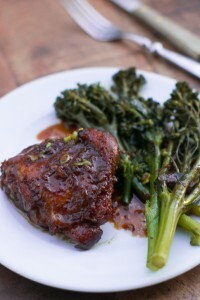 Thanks for sharing this lovely recipe from Yotam! 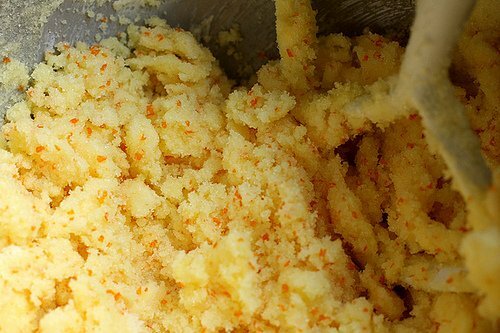 Dina: I use rasp-style zesters, but often when doing small amounts of zest or when I’m grating right into a batter. But in general, I use whatever I feel is most appropriate for what I am doing – so I keep a few types on hand. Citrus! I have a bag of organic oranges and they are begging me to make this cake, which I will this weekend. Pardon my ignorance, but what is a “non-reactive” sauce pan? Cookware made of stainless-steel and glass, are among materials that doesn’t react unfavorable with acidic juices. 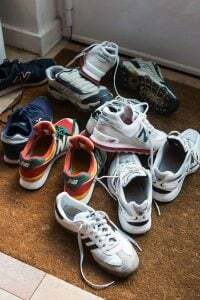 Metals like tin and plain aluminum can be reactive. So beautiful! I’m thinking of just making the candied orange slices, as a little treat! Any idea how long they’ll last if I store in tupperware? I made this to take half way across the country for Easter. We were going on a family road trip, but I just couldn’t handle the idea of easter with some store-bought sheet cake. We served it with dark chocolate covered almonds and it was amazing. I made it 5 days before Easter, but even a full 8 days after it was made it was delicious (I’m not quite sure how it lasted so long… I think we forgot what was in the foil ball). This sounds amazing, David. So, so beautiful. This looks wonderful! My grandparents had citrus groves and one beautiful, shaggy tangerine tree. Now I’m craving some of that fresh citrus to make this lovely cake. Also, I really enjoyed reading about your Lebanese adventures. I live in Dearborn, MI and it is absolutely overflowing with wonderful Arabic markets and bakeries. I thought I loved baklava before moving here but goodness, I never knew just how amazing freshly baked baklava could be. And with your handy post on desserts, I can now name a few of the many treats I see in the bakeries–definite progress! Thank you, David. It sounds delicious. 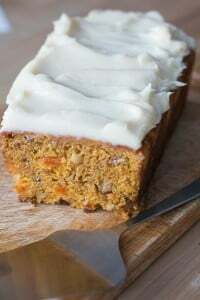 Due to gluten intolerance, I would probably have to bake this cake using almound flour only, instead of a mixture of ground almonds and regular flour. Any ideas about the amount of almond flour to be used? Yes, I gave the amount in the headnote, just before the recipe – at the beginning. Let us know how it turns out- so other gluten-free folks can give it a try! I swore off citrus and all winter fruit after yesterday’s snowstorm. Vowed to keep winter out of my kitchen. But now – am rethinking my haste. And yes – to the accompanying strawberries. If strawberry season ever comes. Just a sweet beauty. I have a nut allergy. What might I substitute for the ground almonds? This cake looks amazing! I recently tried a recipe based on Melissa clark’s recipe but mine didn’t came out too good..I might have done something wrong..Going to try this soon! I can smell the aroma of oranges as you peel them from here! Great photos and of course, the cake looks so delicious. Thank you for sharing!!! My cookbook club just picked JERUSALEM. Your recipe is inspiring me to get cooking (we’re just finishing up our last book: The Breath of a Wok). I’m curious to know if you prefer the type of zester you use to a microplance zester because you like the larger size of the zest it creats–besides sheer affection for the tool, of course. Amazon has a Messermeister one. It looks the same as yours in the picture, or at least very similar. mustafa: my zester is an INOX (made in France). I bought it at Ventanas’ gift shop in Big Sur ca in the 70s, and it still works perfectly! I can smell the oranges looking at the photos! There is something addictive about Middle Eastern type cakes….I have to make them every so often to satisfy that craving. Please advise substitute for nut flour due to allergy. This looks fantastic.love all things citrus and you,dave! You can make a similar cake with all purpose flour instead of almonds but it won’t have the same taste or texture. It will be more like a classic British citrus drizzle cake. I would suggest polenta (fine cornmeal) for a closer texture to the original. Again, it would be delicious but, as David says, not the same as the original. roselle and Judy: Since the cake has a lot of almonds in it, and they provide the structure for most of the cake, I can’t think of any non-nut substitute that one could use in their place. Thank you. This sounds delicious. I very much enjoy reading your blog, the recipes, and their context. I really wish I had some idea how to gauge “well-combined” as in the 3rd step here. I see this and terms like “thoroughly mixed” occasionally, and am never sure precisely what is meant; til the butter is light land fluffy? Til the sugar dissolves? Does it matter? I nearly by-passed this article because I don’t like orange flavoured SYRUP, but hey ho, a CAKE with oranges is another thing alltogether! I always save the rinds from my oranges and freeze them so i can candy them later. But this looks soooo good and I have quite a few fresh oranges as well… I kindof want to add dark chocolate chunks to this too. Yum. You must get a microplane or rasp for zesting!! .It might make you re-think your attachment to your zester. I have never looked back since purchasing my microplane, which might just be my favorite cooking implement!! Of course I want to make this cake – citrus is my favorite dessert! Do you buy your sliced almonds blanched or blanche them yourself? If so, how? Do you have the software that can identify the number of calories per slice? Could you share this information with us? I would also like to know how the “almond flour-only” cake turns out, as I have several “gluten-free” friends. Thanks for your always-entertaining and delicious blogs, David! 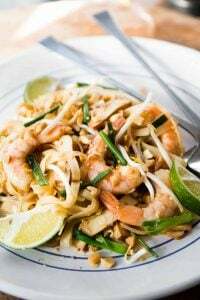 Really simple to do – just blanch them in boiling water then slip them off. I have done this a couple of times and it works for me. Perfect timing David. Next Tuesday is Koninginnedag–our last–here in the Netherlands. Our queen will step aside and her son will become the king. Since the Dutch national color is orange, there are lots of orange colored pastries in the bakeries at the moment, but none as good as this will be. I can’t wait to make it. I’ve had a similar zester since 1986 and it is still perfect. On the occasion it goes missing inside the drawer…not pleasant around here. I wouldn’t trade it for anything. Loved your articles from Lebanon…one of my favorite places. i tried their version of this same cake and modified it using half lemon, half orange (since i really enjoy lemon zest), but the zests and citrus in general seemed to lose it’s flavor in the baking. just had an idea. What do you think about substituting polenta for flour to get that Sicilian syrup cake groove? Nigella has a chocolate orange cake that is made with whole pureed boiled oranges and almond flour that I top with a salted caramel ganache and candied orange peel that has become one son’s new favorite birthday request. I like the non-chocolate option!!! Oh and i just ordered the cookbook last week!!! Cant wait for it to arrive!!!!! Ahhhhh! I have been looking for a recipe like this for ages! Will have to try it out. And buy Jerusalem too – I loved the TV show & love Ottolenghi too! Both my husband and I love orange flavor, and this sounds wonderful! I enjoy your blog SO much; thanks again for taking the time/effort to do it. I can almost smell the citrus, love! Thanks David for continuous inspiration and discoveries. I always enjoy your posts for their humour, photos and recipes – and informative comments. 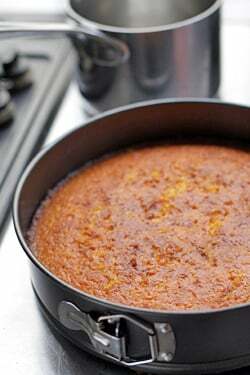 One of my favourite orange cakes is made using a sugar syrup with a pinch of anise and cinnamon which beautifully compliments the orange giving it an incomparable fragrance, and polenta instead of almonds absorbs the syrup nicely. Another favourite is from Greg Malouf’s book and is made of lemon/yoghurt/almonds. And if I could get my hands on yuzu, I am sure the results might surpass these two. David–does that mean 3/4 cup orange juice and 3/4 cup lemon juice, or 3/4 cup total combined? Cyndy: It’s 3/4 cup total. Yotam: I was actually considering swapping out semolina for the flour, but thought with all the almond flour, it might be too heavy (and folks who couldn’t get semolina would ask me if they could use flour) – so I ended up just using flour, and it was great as is. Peg: I’ve never heard of anyone trying to blanch sliced almonds; since they’re so thin, I can’t imagine how you’d get the skins off all those almonds! I know in France, blanched almonds are easier to get than unblanched, and vice versa in the US – so I advised folks can use either. max: It should look like the second to last picture in the post. In the book, they said to mix, but not too much. I love wonderfully dense syrupy cakes like this (my grandmother made a date & pineapple cake that was to die for… the recipe for which is lost, lost, lost although I do experiment with it every now & then). However, I loathe almonds. I’m not allergic, I just don’t like almonds. At. All. How almond-y is the almond flour and, if it’s at all almond-y, can I use AP and/or cake flour? Mmmm. There’s an “Orange Syrup Cake” in Jane Grigson’s Fruit Book that’s made in a similar manner, though without almonds – a pound cake, really. It was one of my favorite cakes we used to bake at Downtown Bakery & Creamery. Claudia: I am certain you could use hazelnut flour in place of the almond flour. Therese: I LOVE Jane Grigson’s fruit book! I remember doing the Bugialli sformato of oranges at Chez Panisse, made with puréed whole oranges that were cooked for an hour. Customers were really divided on whether they liked it or not, but this cake is pretty great and I can’t imagine anyone not loving it as much as I and my friends did. That looks delicious! My zester is a commonly used tool in my kitchen as well. Thanks David, lovely recipe. Not sure if nut-allergic people can eat coconut (is it technically a nut?) but in any case, to add to the conversation about syrup cakes, I’ll mention an old Donna Hay recipe I use over and over again. It’s a lemon (or lime) and coconut cake, similar procedure, but using 2 cups of desiccated coconut and one cup of self-raising flour instead of the almonds/almond flour, and adding half a cup of yoghurt or sour cream to the final mix. A more summery and tropical outcome, for that part of the year, this part of the world, and like all syrup cakes, absolutely delicious. What a great looking cake! Love those candied orange slices – need to make those some time. I have the same zester but unlike you, made the mistake of lending it to someone and never saw it again. I once saw a similar cake from Around the World in 80 Dishes by David Loftus, but it had vodka and a couple of dried hot peppers cooked in the syrup and poured over the top. This cake recipe with additions sounds in order! One of my favorite cake recipes is one I pulled from a magazine about 15 years ago. Basically you chop up an orange and put it in the food processer, add flours, eggs butter and sugar and whiz whiz and it’s done. Cook. If I feel decadent I swap half the flour for almond meal and sometimes if my sister who is coeliac is visiting I substitute all the flour and it makes a great option for her. We had a patty cake tower. ( that’s cup cake to many of you) for her wedding and made these gluten free orange cakes as one flavour as well as chocolate and vanilla ones. So it works well as a whole tin cake as well as small ones. 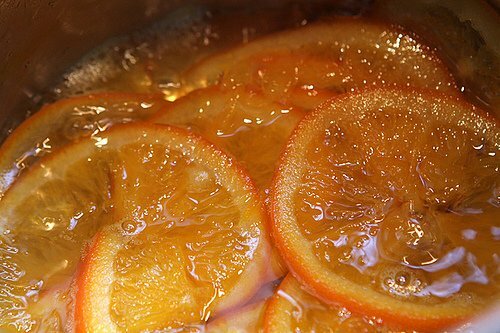 Love this orange syrup and candied slices recipe David….. Will have to top my cake with that next time and will try your cake recipe too.. Althought I may be tempted just to whiz the whole thing and not dirty two appliances. There’s no doubt I am a lazy cook!! Also forgot to mention I have the exact same zester. Have done for years.. Nothing else works quite the same, but I didn’t realize they were so hard to come by. Must guard mine more carefully!! Thanks for your excellent blog. It’s one of three blogs I subscribe to. What absolutely gorgeous pictures! Just beautiful. I feel like I’m right there peaking into the mixing bowls and sauce pans. And what an inspiration! I too plan to make this cake this weekend. I have several bags of oranges stored in the extra shower (no place else to store them! ), so this recipe comes at a great time. Again (as I’ve said before), I not only LOVE, LOVE, LOVE this blog, but I totally enjoy reading everyone’s comments. Pure joy! For the nut allergies, I love Yotam’s (the man himself commenting here? Nice : ) suggestion: why not sub polenta for the nuts? It should lend the same moistness, though without the almond flavor – but still a great idea for a substitute. Also think the coconut suggestion is a pretty good one – Bob’s Red Mill makes coconut flour, but shreds would probably work fine, esp. if whirled in a food processor or dry in small batches in the blender. Coconut is a seed not a nut, so it is generally considered OK for people with peanut and tree nut allergies. The rare instances of coconut allergy have not occurred in people with tree nut allergies, so tree nut sensitivity doesn’t render you more likely to react to coconut. Many thanks for this, David. I love Claudia Roden’s orange and almond cake so I will definitely try this recipe this weekend as a sort of riff on the theme. Glad the coconut suggestion is useful, and thanks for the seed-not-nut information. I’m not sure if the substitution would be ounce for ounce, need to weigh out the ingredients and can’t do that right now, sorry. I wouldn’t recommend coconut shreds, I think wrong texture. Could be OK if thoroughly broken down in a food processor. Not familiar with coconut flour. 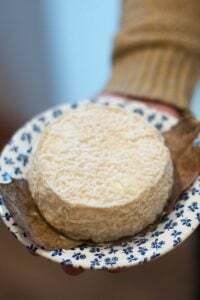 The desiccated coconut we get in Australia can be shreds, but is more commonly granules, somewhere between shreds and flour, it’s a good texture for the cake, holds the moisture but keeps it light. I hear ya about the citrus knuckle pain! I really must get a proper zester as I find it’s all to easy to take the pith (ha!) as well as the zest with a Microplane. Siimilarly, I always wonder how chefs use a mandoline with such insouciance. I put off buying one for years out of sheer fear, then in desperation to julienne I finally did get one. I tiptoed up to it in terror, then found that using the guard it’s practically impossible to slice anything. Yet I see chefs happily mandolining away with their bare hands. Eek! How do they have any fingers left? Peg and Gavrielle: There are Cut Protection gloves that you can get to use with a mandoline and other sharp objects. I’ve never used one, but they seem like a good solution! 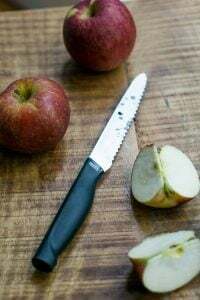 My zester is my favourite kitchen gadget; along with a very sharp 8″ kitchen knife I take it everywhere with me. 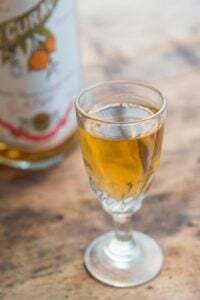 Great recipe – it’s very similar to one using whole boiled oranges (or better yet, clementines) – but the large amount of pith gives that one a bitter edge that some people find too much. What a great recipe! I have a very sweet tooth so I’ll definitely be making this cake! If you want to prevent the cake from burning around the edge, you can line the cake tin with parchment paper – This is just a suggestion! Always look forward to your updates in my mailbox. I love citrus cakes like this and serve mine with a dollop of marscapone cheese. My bread knife, I don´t know what I´d do without it, it´s probably the most used in the kitchen! And I have the same zester, though I haven´t used it as much. I can relate to your comment about tools in professional kitchens. I had a small cafe for a few years, and every single thing I took from my house ended up broken, useless or a part missing. Now, my home kitchen is only my domain. This recipe reminds me so much of a Middle Eastern recipe I came across many years ago and have been making ever since. In fact, I’d say it’s my all time favorite cake recipe. The main difference I see is that the oranges are boiled whole until they are soft. Then you cut them up and process them in the food processor, skin and all. That is mixed with almond flour and sugar and eggs. I add a couple of tablespoons of Grand Marnier and sometimes I’ll add some chocolate chips for a little change of pace or extra treat. 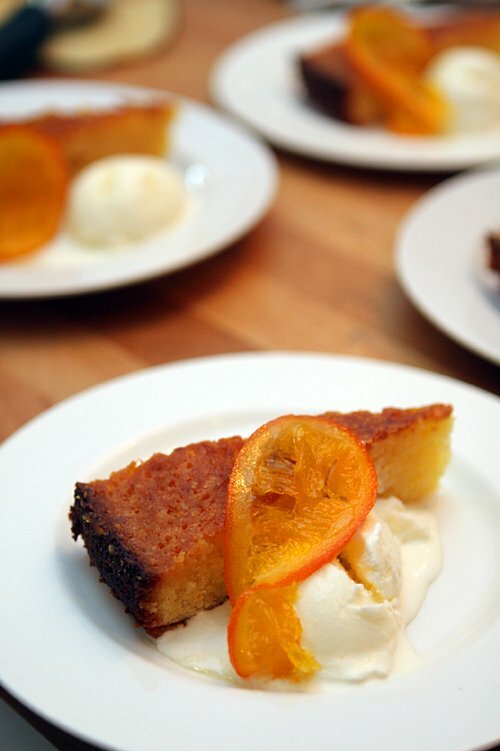 The little bits of orange peel are sweet and full of flavor in the cake when it’s baked. I love this orange syrup and I think I’ll try pouring that on this cake that the next time I make it. Thanks for the idea! This is a delicious recipe. I have made the one from Jerusalem so now have to try yours too. May I please make a request, David? In London, Honey and Co.(the wife in the team was Ottolenghi’s pastry chef) make a small cake they call Lemon and Saffron Cake, It is utterly divine. They even have a picture of it on their website just to drive their happy diners crazy with desire. Would you happen to have a recipe up your sleeve for such a creation and if so PLEASE can we have a blog about it? Thanks in anticipation. Well this recipe appeared in my e-mails in the nick of time! I was looking for a dessert recipe for my contribution to supper with women friends and this recipe was perfect! It was a big hit! Everyone brought a piece home with them. I loved making it! Thank you! 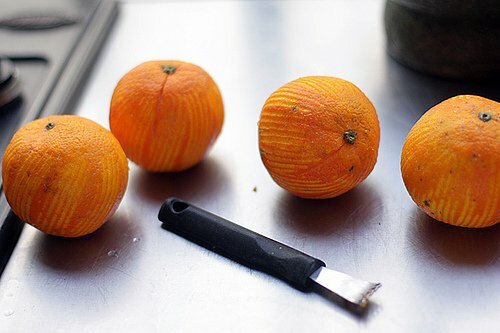 Could lemon zest be substituted for the orange? Would that just get weird with the almond flour? I ask because I have a tree full of organic lemons and the oranges I’ve seen around are kind of past their prime. Any thoughts? I would be concerned about pouring 3/4 cup of lemon juice over a cake as it may be too tart. (You can add more sugar perhaps to the syrup?) If you do try it, let us know how it works out. Thanks for correcting me. I rechecked my recipe. Not Quite Nigella adapted the cake from David Loftus, calling it Sticky Orange, Chili & Vodka Cake. If I have almond meal from Trader Joe’s but no kitchen scale how much would I need in cups? Sorry, I read your previous comment regarding the gluten-free substitution of almond flour for the regular — but I don’t see your note preceding the recipe, only a note regarding a substitution of the sliced almonds. I love oranges and would like to try making this cake. I was wondering if I could use ground walnuts instead of almonds. Thanks for this recipe, David — just in time for my mom’s birthday celebration. I adapted it for gluten-free using 300g blanched almond flour plus 50g white rice flour to better approximate the total flour content (240g sliced almonds and 110g wheat flour). I also used 1 cup sugar with 1/3 cup honey (instead of 1-1/2 cup sugar for the cake). Came out beautifully. Hi Nikki: Thanks so much for reporting back with your substitutions and results! Glad to know you successfully made the cake gluten-free. Happy eating! There is a French tart I love, from the South of France that looks a bit like an arab pastry. It’s a lemon and almond tart. I sometimes replace the almonds with pistacchios. Once cooked, you imbibe the tart with a freshly made lemon syrup and decorate candied lemons. Nuts + syrup always evoke the Middle east for me. For nut allergies, I might try subbing cornmeal (polenta) or semolina for the ground almonds. There are a number of Greek cakes, like revani, that use the coarse grains for a coarse textured cake perfect for soaking up scented syrups. Looked all over. Cannot find the zester you use. @David: Thanks so much for the hint about the cut protection glove – I’m thrilled! I’m so glad I didn’t throw away my mandoline as I was about to. Thanks, Kate. Yes..I agree with your advice and folks with celiac often are better advised on how to swap-out ingredients than I am (since I’m not really a gluten-free baker, and that really is a speciality.) I understand a lot of the gluten-free flours can leave aftertastes, so I recommend trying things like corn flour, oat flour (gluten-free), or like you said, quinoa flour – glad you had success with the recipe and liked it, too! What a wonderful cake / dessert. Simple and delicious. I misread the recipe from your notes, thinking that the lower weight of flaked almobds + flour was a substitute for 280 g ground almonds. So, I made it using just ground almonds (140 g in my case as I divided the recipe in half for a 15cm tin). I see now from the comments, and having read Yotam’s original recipe, that I was wrong. However, the result was beautiful and delicious and I would make it this way again. Of course this makes it gluten free too (not intentionally for me) so I thought I would share my experience as there is a bit of discussion on the topic. I can see this becoming a regular in my house, and also think I will make the candied oranges to go with other things as well. Thank you. this cake looks pretty much like heaven. hi david, i tried this recipe with no flour, increasing the almonds. i weighed everything and followed the recipe exactly. the cake tasted good, but couldn’t be easily cut even after chilling. it was too mushy to be even considered ‘cakey’. i plan to try the flour version, as the flavor is fine. I was wondering – only the zests will go into the cake batter, correct ? The juice will be used in the syrup. I’m asking because I’ve seen cakes like that using whole oranges or clementines in their batter! Thanks a lot! Love your blog! I made this cake the first time it kpet for 6 days straight, remaining moist and fresh throughout It stayed moist and fresh throughout, despite a very flimsy, ill-fitting cover. People, listen to me, this cake is it, well and truly. I served it with creme d’Isigny, which is the most gorgeous creme fraiche which we thankfully can get in Belgium. If you cannot get it, just use sour cream, as the tangy taste with the sweet citrus is just wonderful. I used blood oranges for the candied ones and put them on the top of the cake where they looked great. My 81-yr old father-in-law is staying with us to convalesce from near-fatal pneumonia and cancer treatment. He would not touch a thing for days but gobbled this up in no time and asked me to bake this again. Now put down whatever you were doing and start making this cake. This looks so good! I made some gorgeous sticky glacé orange slices for coating In dark chocolate a few months ago and saved the syrup hoping I could find a good use for it. The syrup, deeply flavored from a week of daily simmering of the oranges, will go on the cake, and some of the leftover orange slices will decorate the top – yum! It was completely delicious, thank you so much for this recipe! This looks really lovely. 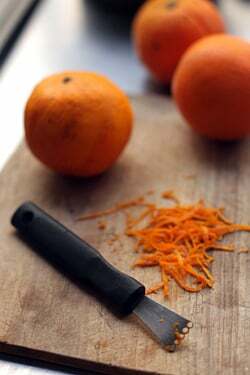 I love the scent of orange zest! My wife absolutely loves everything which has orange flavour in it. I am just thinking this would be the perfect cake for her birthday on Saturday! However, I am not quite sure if I am skilled enough for this. As a good husband, I decided to give it a try, I´ll let you know about the results. Thanks for the recipe! A GREAT recipe. Syrup cakes are very popular in Greece as refugees brought recipes from Turkey in the early 1920s. I can’t remember a feast at home that didn’t end with ‘RAVANI’, a light syrup cake made with fine semolina. Our syrup cakes are different from Middle Eastern desserts in that we use less sugar for the cake -and a lot more eggs (up to 20, depending on the recipe). 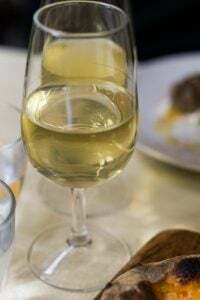 Butter, if used at all, is added to the syrup, which is made with water and sugar (plus corn syrup or honey, depending on the recipe) as well as lemon peel for flavor -but we NEVER ever use orange juice. I suppose this is why your syrup is SO light, and the final result so (well, ‘sticky’ is a negative word here). I’d say it was a bit like pudding, like the best citrus fruit pudding I’ve ever had. In fact, I put the batter in ramekins and served the individual ‘puddings’ warm after the traditional Orthodox Easter dinner and everyone loved them. 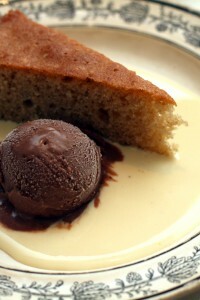 NB – Syrup cake is eaten plain in Greece, perhaps along with a glass of water! Love Mediterranean patisseries/cookery and this looks great. Have recently made a flourless orange and almond cake that got rave reviews. I made this recipe for a birthday party. My only regret is that there was not more…delicious, and summery, great texture with the almonds! I loved it.